Peter Warr had taken over the declining team after Colin Chapman's death at the end of 1982. Ironically, Lotus struggled most in the latter stages of a ground-effect era that they themselves had ushered in, in their inventive prime. 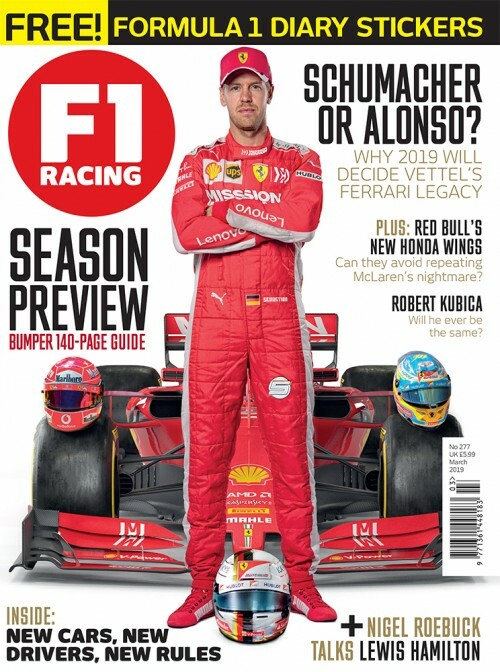 Warr stopped the rot by signing up designer Gérard Ducarouge, who duly set about drawing a series of tidy cars that both Elio de Angelis and Ayrton Senna were able to coax to a smattering of wins, without ever quite elevating them to championship contention. Senna, ready for a shot at the title, upped sticks at the end of 1987 and joined McLaren. Losing their star driver was a hammer blow to Lotus, as the swashbuckling Brazilian ace had carried the fortunes of Ketteringham Hall on his back during the previous two seasons - obliterating subservient team-mates Johnny Dumfries and Satoru Nakajima. 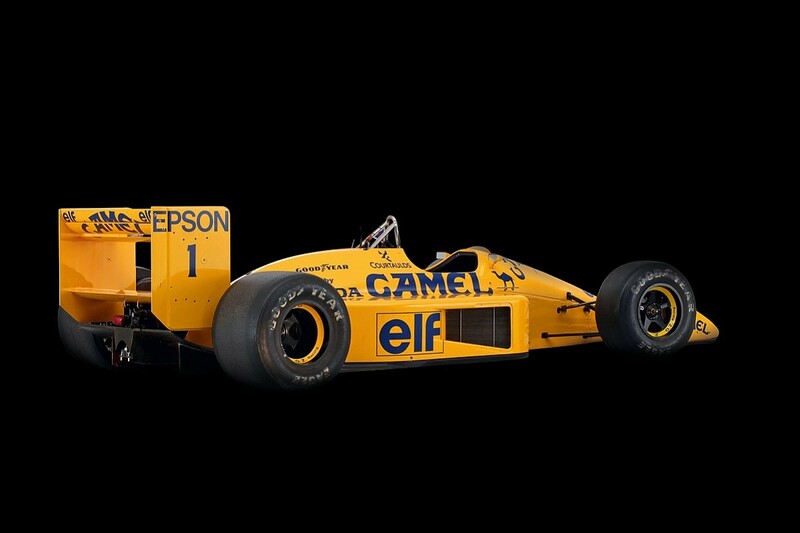 Arguably, Lotus claimed the most high-profile replacement possible in the form of reigning champion Nelson Piquet, who had left Williams with his number-one stickers in tow. 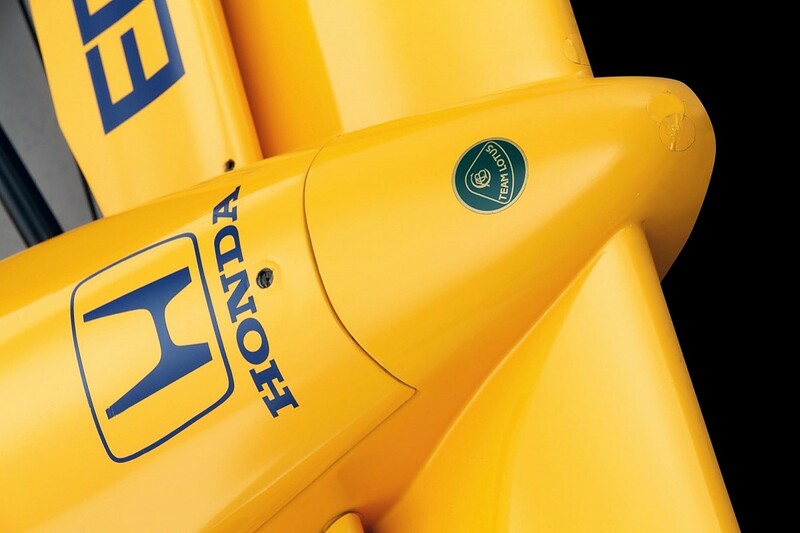 Remaining for a second season, Honda supplied Lotus with turbocharged V6 engines - now also used by McLaren - and politely insisted that Nakajima continue his tenancy in the second seat. Piquet's presence was also sure to placate Honda, thanks to his experience with them at Williams. 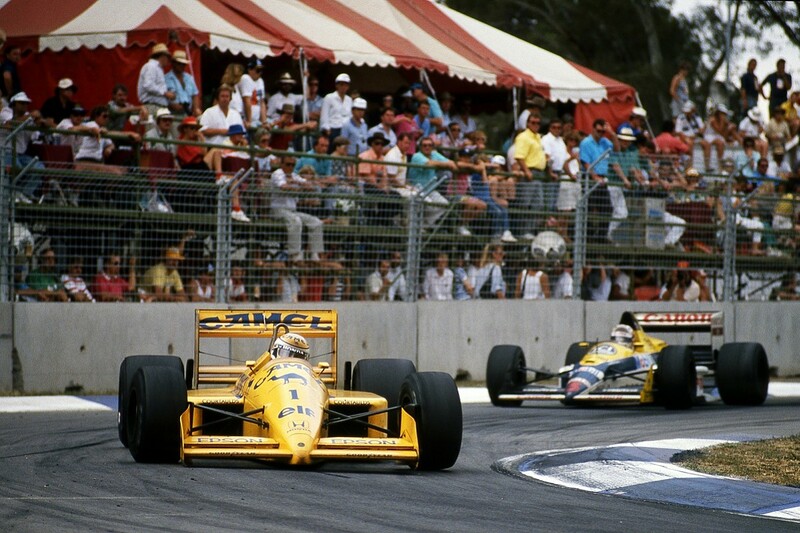 While Lotus used the twice-victorious 99T as a base for 1988's 100T, there were a few key differences as the team sought to improve upon fourth in the constructors' championship. Marginally increasing the wheelbase by two inches, Lotus hoped to improve the balance of the car despite the removal of active suspension. During its nascent stages as a driver aid, Senna had pushed heavily for its inclusion, but after his departure the team elected to revert to a conventional shock/damper suspension setup - citing cost and development problems with the electronic system. Honda's engine, despite regulations limiting the boost pressure from 4 to 2.5 bar, remained the strongest on the grid, pumping out 675bhp as the new restrictions shaved a third off 1987 engine outputs. The 100T was also a step up from its predecessor aerodynamically, presenting a lower-slung and more compact front end, with much tighter packaging. At the season-opener in Brazil, Lotus started encouragingly as Piquet led them to third place. He repeated the feat next time out in San Marino, having qualified P3 - albeit more than three seconds behind polesitter Senna, in a McLaren that was beginning to show ominously dominant form. 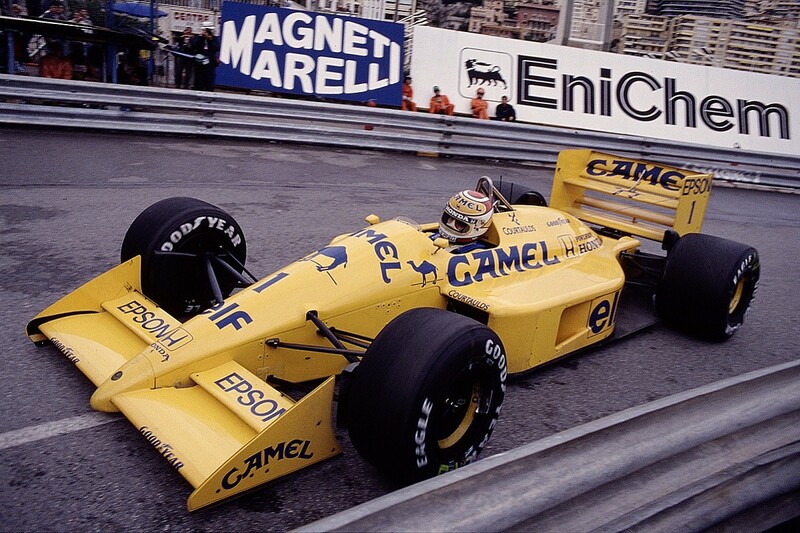 Yet the 100T had its problems, its shortcomings proving most evident in Monaco where Piquet could only qualify 11th - almost 4.5s off Senna's pole time. Nakajima, meanwhile, failed even to make the grid. 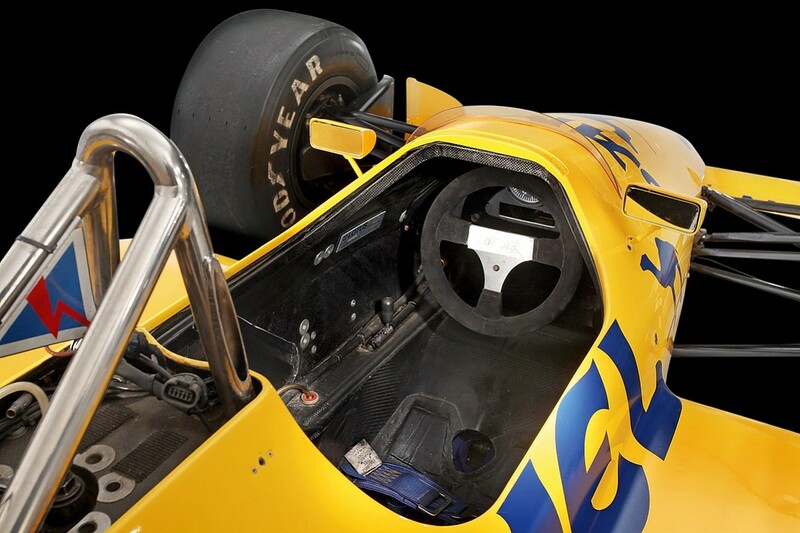 Handling proved to be Lotus's biggest bugbear, due to an insufficiently rigid chassis that flexed under yaw and upset the rear aerodynamics of the car, causing it to squirm. Although not uncommon during the early turbocharged era, thanks to the effects of turbo lag - which could be significant in the days of heavy turbines - the Lotus was particularly nervous and wayward on entering and exiting corners. When filming his World of Speed documentary in 1988, three-time world champion Jackie Stewart took the 100T around Snetterton, concluding the car's suspension and chassis were unable to handle the Honda's forceful power delivery, which would bite abruptly under acceleration and produce a tremendous braking effect off-throttle. In Mexico, Lotus's deficiencies were less pronounced and both drivers qualified in the top six at a circuit where naturally aspirated cars struggled. The reduced density of the air favoured the turbo runners, and the sheer power of the Honda looked to give Piquet and Nakajima a fighting chance. Ironically, engine problems were Lotus's undoing: both cars stopped before the end of the race with piston-based failures. 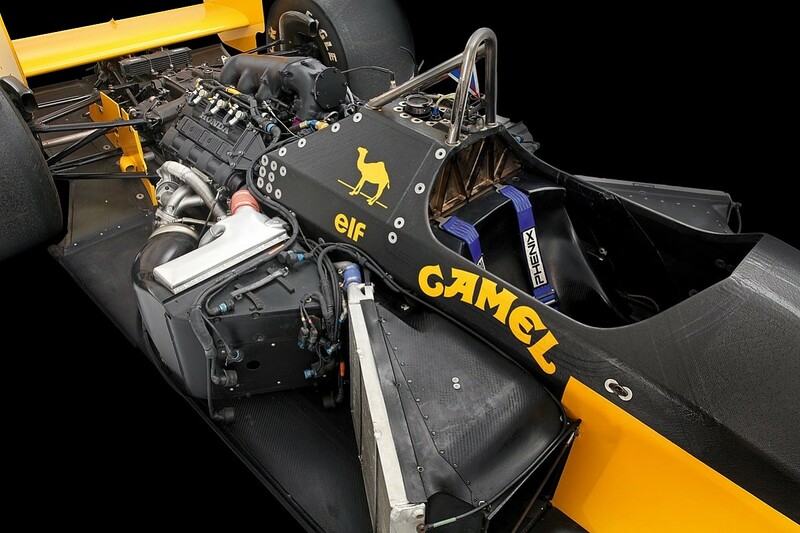 Although his motivation was perhaps in doubt, Piquet arguably extracted the maximum from the recalcitrant 100T. Despite the car's shortcomings, he was a consistent points scorer - ending up outside the top six in only two of the nine races he finished. Nakajima struggled in comparison, failing to qualify once more in Detroit as he struggled to wrestle his machine around the US street venue's myriad 90° corners. As the season progressed, Lotus slowly began to address problems reported in testing by the drivers - also leaning on some of Stewart's feedback from his running at Snetterton - but little changed. Ducarouge left mid-season to join the sophomore Larrousse outfit, yet Lotus's engineers managed to find some balance in the latter stages of the year. Nakajima impressed at Spa with the second-best time in a wet second qualifying, starting P8, ahead of Piquet, and his performance at his native Suzuka (one of the more technical circuits on the calendar) suggested that the car had become much more user-friendly as the season wore on. Piquet, too, began to reap the rewards with a strong weekend at the season finale at Adelaide. Having struggled on previous street courses, he seized a well-earned third place to complete an all-Honda podium. It would prove to be Lotus's final podium in F1. The late flurry of promise aside, their development was a day late and a dollar short - the sub-par chassis ultimately lacked grip and stability. Lotus elected to start afresh for 1989, but the 100T proved to be their first step into an irreversible decline.